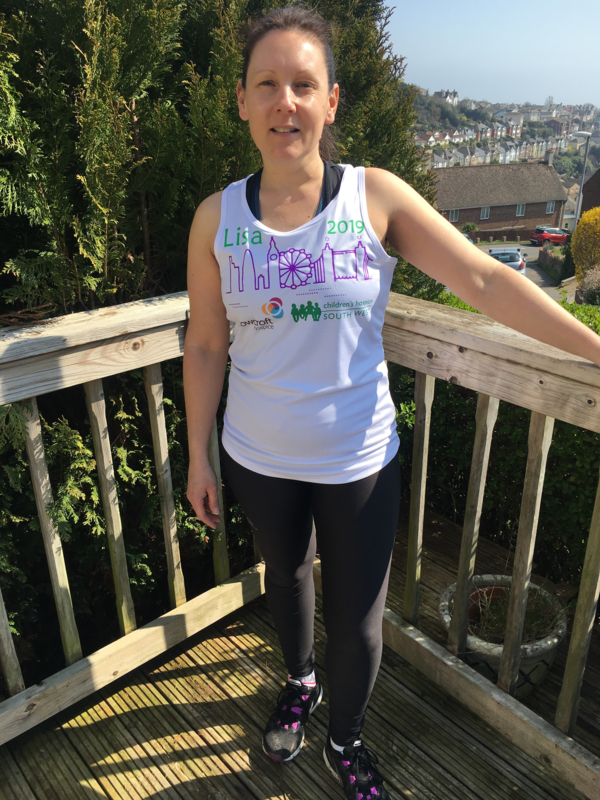 Lisa Ross, 43, is running her first ever marathon in aid of Children’s Hospice South West, which has three children’s hospices in Devon, Cornwall and Somerset, and Rowcroft Hospice, which is based in Torquay and supports adults living with life-limiting illnesses in South Devon. She said she felt extremely lucky to have earned a ballot place for the world-famous road race at the second time of asking. “I will always remember the day last October when I came home from work and opened up the purple envelope to see the words ‘You’re in’,” she said. I have always watched the London Marathon from the comfort of my home and found it emotional; I always said I would love to tick that one off the bucket list. The mum-of-three, who works as a deputy manager at a residential care home in the town, has been training three times during the week, as well as taking part in the 5km Teignmouth parkrun on Saturday mornings and longer runs on Sunday mornings. “It’s been tough but Sunday is my long run day, which normally involves my lovely friend Nicky collecting me and riding her bike while I run,” said Lisa. Alongside the busy training schedule, Lisa has been working hard to raise £2,000 to split between her two marathon charities. She said: “I chose CHSW after my husband Danny went to a golf event in support of the charity – we both really want to give something back to help the many children and families who come in to contact with CHSW. Last month, Lisa organised an 80s night at Teignmouth Rugby Club, featuring comedian Tank Sherman that sold out in just two weeks and raised £1,700. Lisa and friends have also held a sponsored bag pack at Morrisons Teignmouth. “Fundraising is going great and local businesses have been fantastic with the support of raffle prizes. Family and friends have been helping out and I'm very humble for the kind help,” she added. Paula Hullett, CHSW community fundraiser, said: “We can’t thank Lisa enough for taking on this huge challenge in support of CHSW and we’ll be in London to help cheer her around the 26 miles. Lisa’s fundraising will make such a big difference to more than 500 south west families that rely on us for vital care and respite. Our three hospices are run almost entirely thanks to voluntary contributions and we couldn’t do what we do without the wonderful support of people such as Lisa. Lauren Peters, Rowcroft community fundraising officer said: “We are so grateful to Lisa for choosing to raise funds for Rowcroft. The London Marathon is an incredible challenge and one we know takes months of gruelling training and commitment. Lisa will be cheered on in London by husband Danny and her three girls Lauren aged 24, Maci 6, and Lyra 4. “I’m really looking forward to London but the best thing for me will be to cross the finish line and hug my family at the end,” she added. You can support Lisa by making an online donation on her CHSW JustGiving page or her Rowcroft JustGiving page.